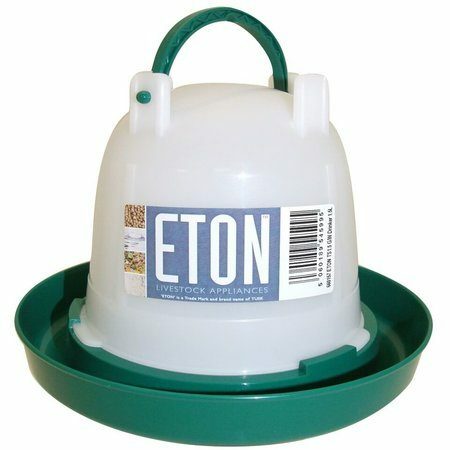 Our range of robust plastic and galvanised poultry feeders and drinkers are selected for their quality and durability, suitable for beginners, those with a small to medium number of chickens or for the more established poultry keepers. 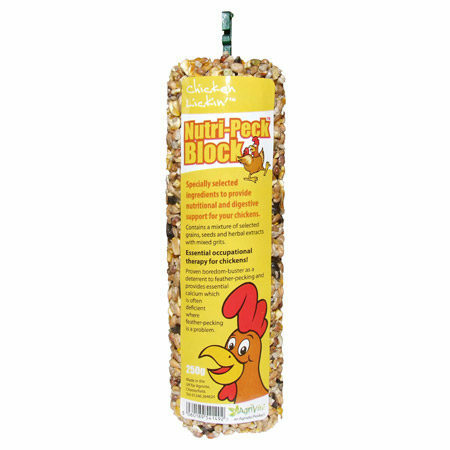 Nutritious pecking block to provide interest and prevent boredom in the chicken run. 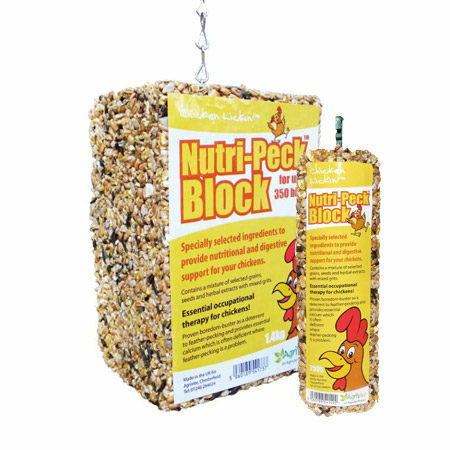 Ideal as a distraction to prevent feather pecking – much loved by hens of all ages! 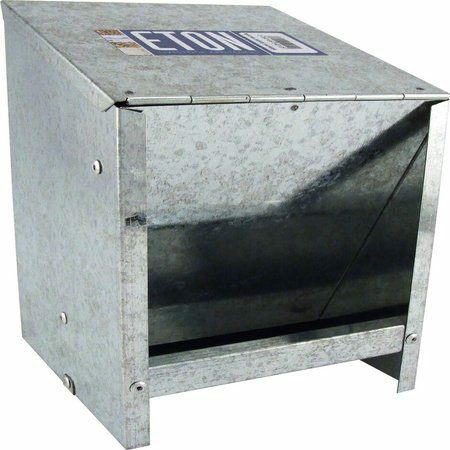 Galvanised, wall-mounted or standing grit/feed 2.5kg hopper, top fill. Now with improved, non-corroding plastic trough. Galvanised, vermin-resistant, all-weather feeder. Feed is only exposed when hen steps on treadle. New smooth treadle action eliminates unwanted noise as the treadle moves. Secure catch keeps lid shut. Supplied flat-packed for easy transport. 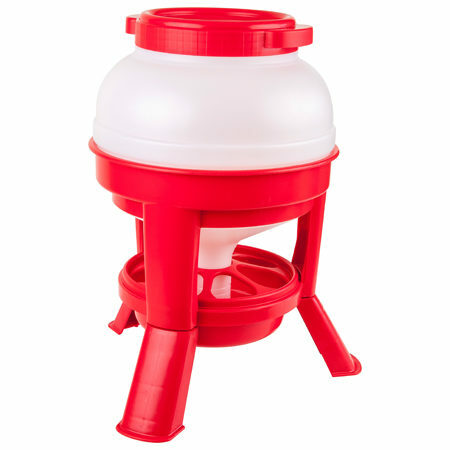 Robust, durable top-fill 20 litre hopper, on a very sturdy plastic trip base. Easy to fill with secure screw cap. Tough drinking trough. 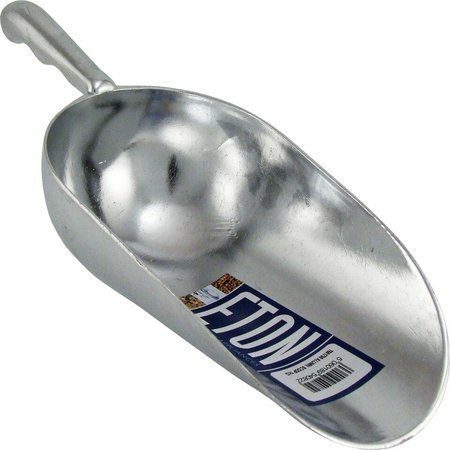 Easy to clean and non-corrosive. 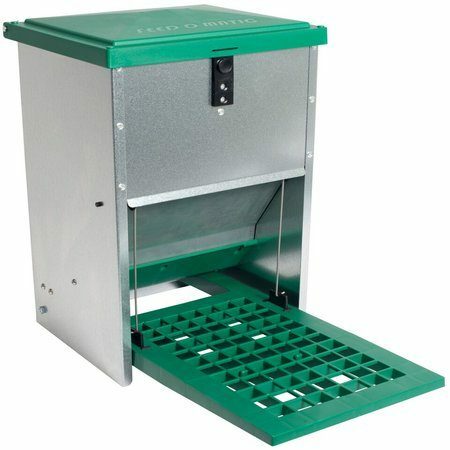 Matching tripod hopper/ feeder available. 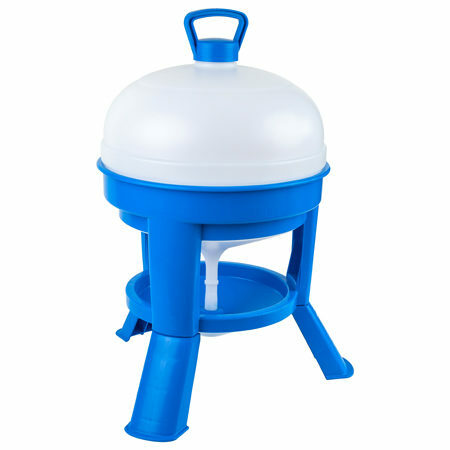 Robust, durable top-fill hopper to hold 20kg of feed, on a very sturdy plastic trip base. 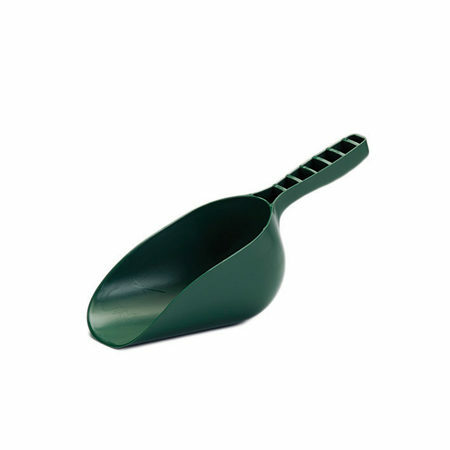 Easy to fill with secure screw lid. Tough feed trough with anti-waste ring fitted. 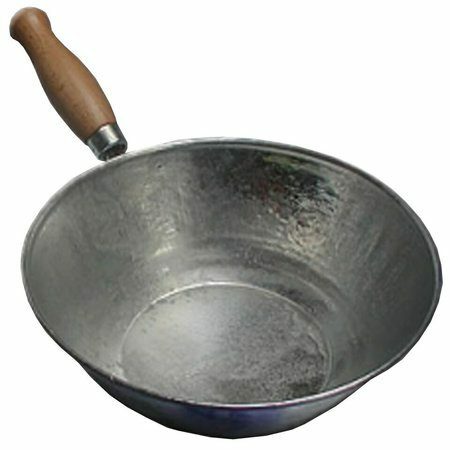 Easy to clean and non-corrosive. 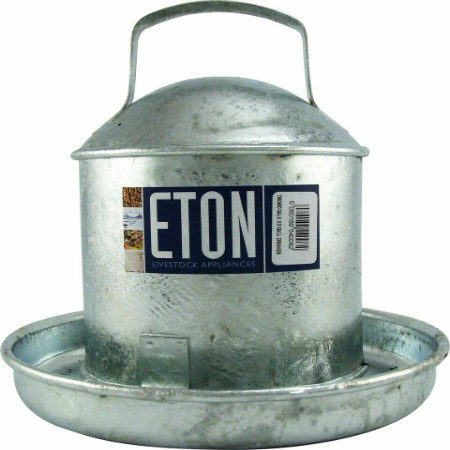 A traditional top fill galvanised poultry drinker, a long life heavy duty double skin making the drinker robust. 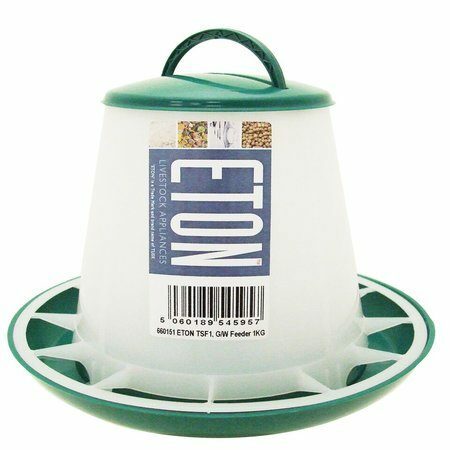 High quality, robust chick/chicken drinker. Secure twist-lock fastening. 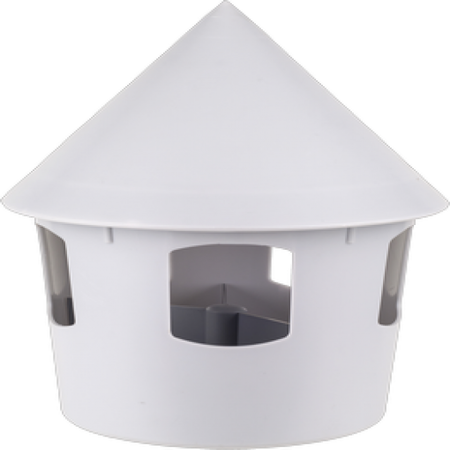 Suitable for chicks/quail/aviary and other poultry birds. Available in red/white and green/white. 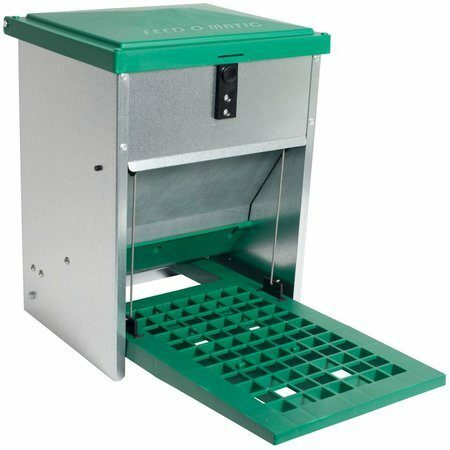 Robust, moulded plastic standing chick/ chicken feeder with clip-on lids and grid to minimise food wastage. 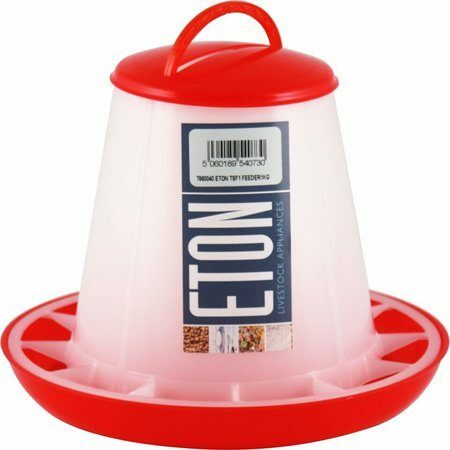 A complete poultry feed to be fed to laying hens from 2 weeks prior to laying. 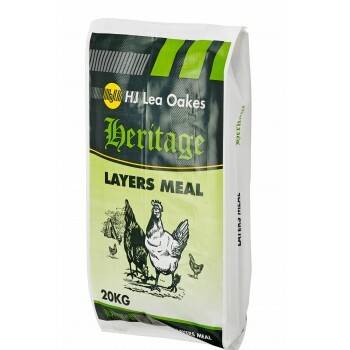 Heritage Layers Meal include all the vitamins needed for a good quality sized egg with a natural golden yolk colour. Suitable to feed all year round. 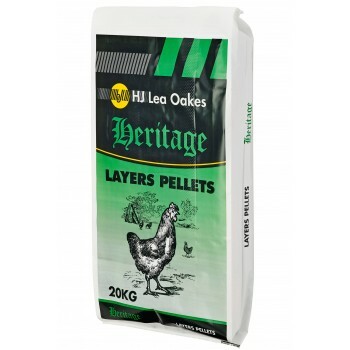 Heritage Layers Pellets contain all the vitamins required for good quality eggs with a golden natural yolk colour. 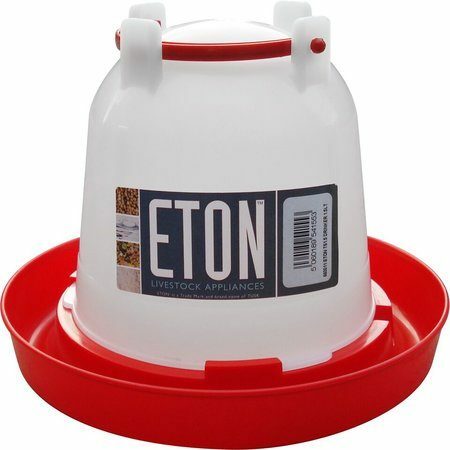 A complementary feed that is suitable to feed to adult poultry. 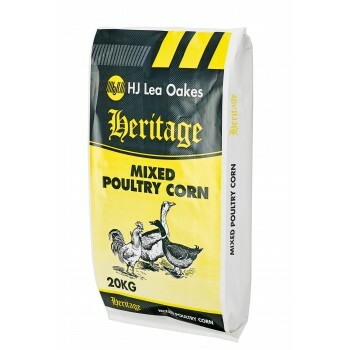 Heritage Mixed Poultry Corn contains a mixture of maize and wheat, to be enjoyed by all types of adult poultry.